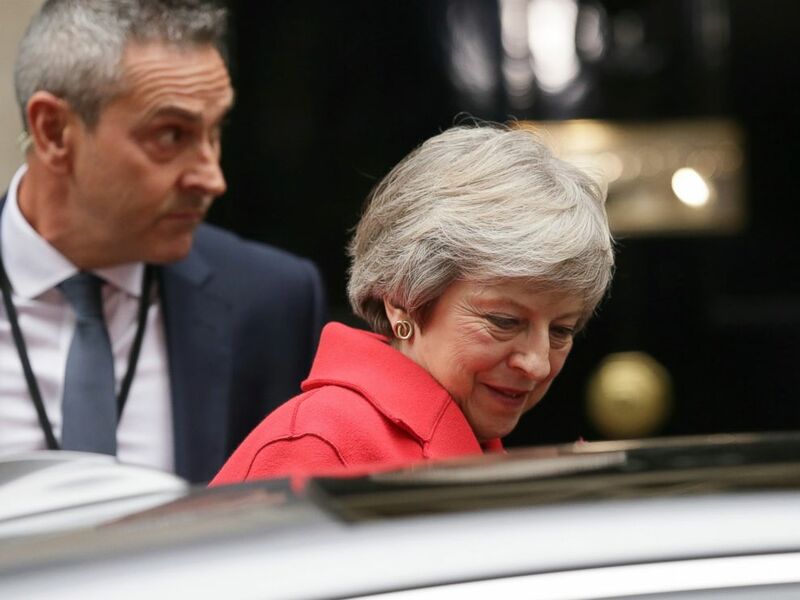 Theresa May’s tenure as British Prime Minister was hanging by a thread Thursday morning following the resignation of her Brexit secretary and other ministers in her Cabinet. There is division in her government on the terms of the U.K.’s draft agreement with the European Union on the terms of Brexit, agreed to in Brussels on Tuesday and discussed among British government ministers in a marathon Cabinet session on Wednesday. May delivered a statement to the House of Commons Thursday morning that argued her deal with the EU was the only option that delivered the key priorities demanded by voters in the divisive 2016 referendum. 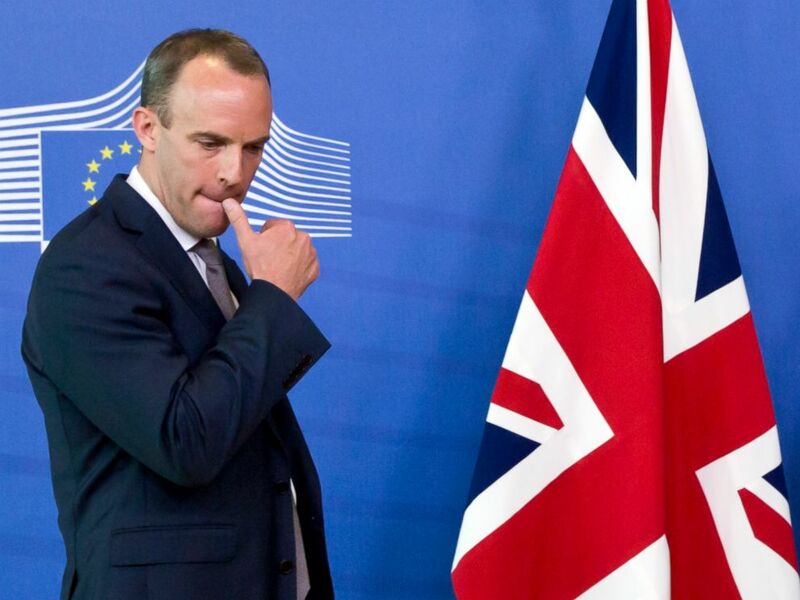 In this Friday, Aug. 31, 2018 file photo Britain’s Secretary of State for Exiting the European Union Dominic Raab waits at EU headquarters in Brussels. Brexit secretary Dominic Raab resigned his position on Thursday, Nov. 15, 2018. Raab is one of a group of Brexit-supporting ministers who campaigned for the U.K. to leave the EU in 2016. The sticking point is the issue of the border between Northern Ireland, which is part of the United Kingdom, and the Irish Republic in the European Union. Both sides of the Irish border want a resolution that avoids having physical checks on goods and travel on either side. To avoid the need for checks, May has agreed that the U.K. will remain aligned with the E.U. via a customs arrangement that contains a mechanism for an extension should the U.K. and the EU fail to agree a permanent solution before negotiating time runs out. Britain’s Prime Minister Theresa May leaves 10 Downing Street for the Houses of Parliament, in London, Thursday Nov. 15, 2018. Raab argued that this extension, described in the paper as an “insurance policy,” holds the U.K. hostage to the terms because the EU would have a veto on the extension. However, May told the Commons shortly after his resignation that the EU “would not negotiate any future partnership without” the insurance policy.